The energy at a fair courts rally outside the legislature Wednesday was palpable. 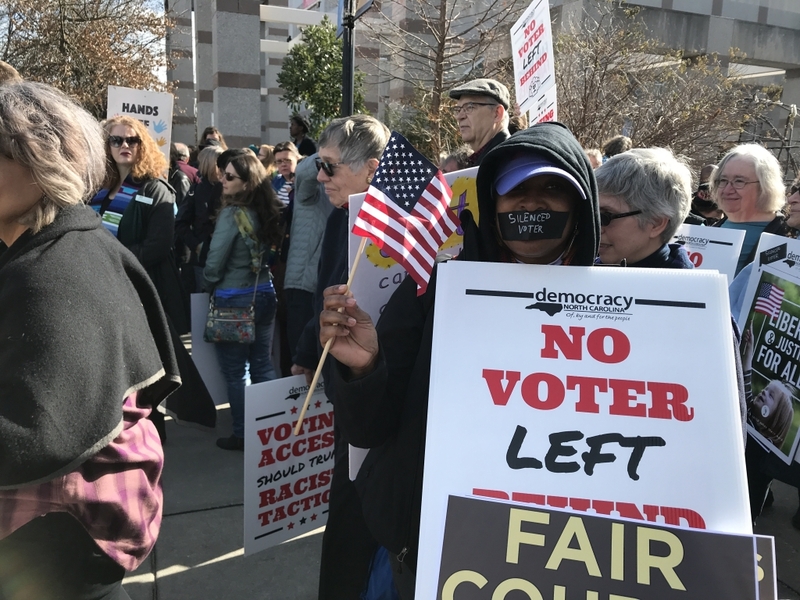 Hundreds of people were crowded outside at Bicentennial Plaza carrying signs demanding a judiciary free of politics and chanting things like “we won’t stop.” They engaged with several speakers at the Fair Courts Day of Action, including former state Supreme Court Justice Patricia Timmons-Goodson. “Our courts should be as free as we can make them from partisan politics,” she said. The crowd shook their heads and several people audibly agreed with her. She spoke about offering her judicial experience in the hopes that people understand why she cares so deeply about the courts. “At the conclusion of my remarks, I hope that you too will care about what is happening in our courts and to our courts and to our judges,” she said. Lawmakers reconvened Wednesday for a special session with an unclear agenda. It was speculated that the special session was called to pass some form of judicial reform, whether redistricting or judicial selection. Timmons-Goodson said such reform should be the result of thorough, careful, bipartisan discussion, not retaliation for judges perceived by legislators as activists. Jae Slaughter, 23, of Asheville, was one of the people listening in the crowd. She said she cares particularly about the court issue because she doesn’t want to see the courts repeat mistakes from the past. “But [lawmakers are] more concerned with politics than justice and solutions,” Slaughter added. 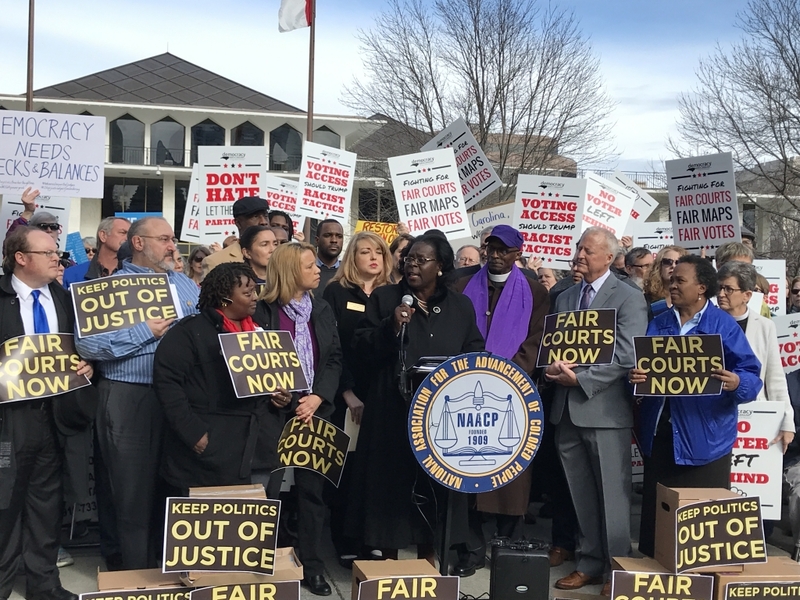 In an effort to help more people understand the consequences of proposed judicial reform, the Southern Coalition of Social Justice released the same day as the rally an analysis of the Senate’s most recent judicial redistricting maps. Melissa Price Kromm, Executive Director of N.C. 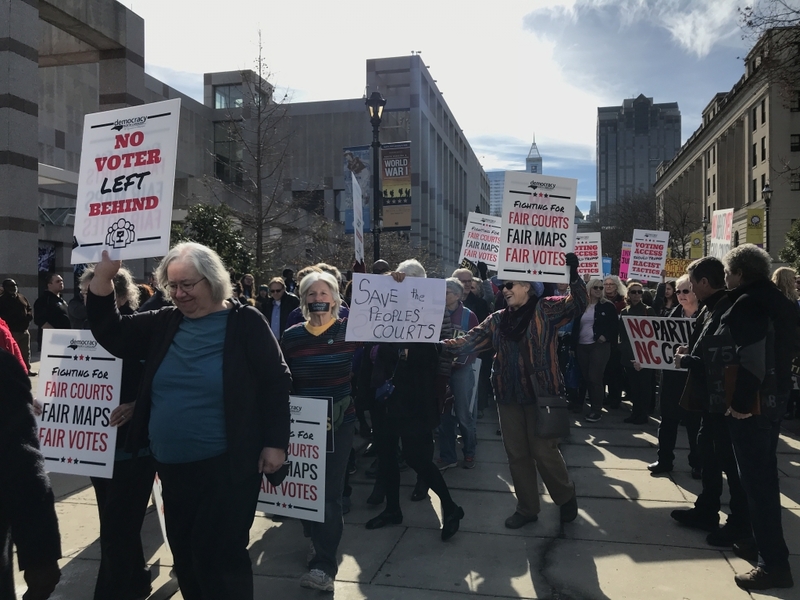 Voters for Clean Elections, said North Carolinians should take stock of the analysis considering a federal court’s ruling Tuesday against lawmakers’ use of partisan gerrymandering. “We need to take our time if we’re going to talk judicial redistricting,” she said.